In a huge blow to Karnataka minister K.J. George, the Supreme Court on Tuesday ordered CBI inquiry into the death of Dy SP M.K. Ganapathy at a lodge in Madikeri in Kodagu district last year July. It may be recalled that Karnataka chief minister Siddaramaiah had re-inducted George into the Cabinet soon after the state CID police had given a clean chit to George in the case, without even waiting for the forensic evidence. 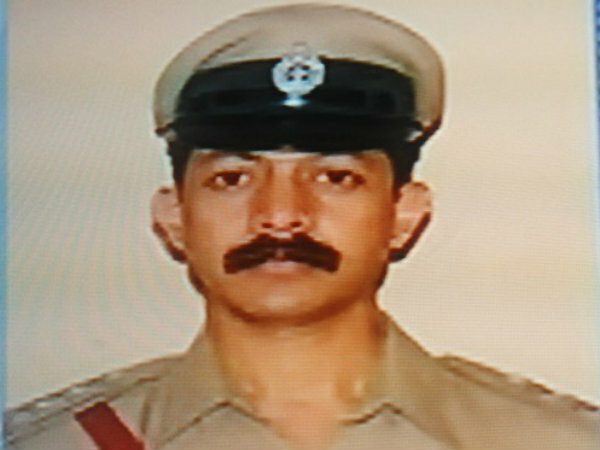 Hours before his death, Ganapathy had accused George and two IPS officers of hounding him, and had also gone on record in a television interview that George should be held responsible if there was any danger to his life. Acting on a petion by Ganapathy’s father M. K. Kushalappa, a Supreme Court bench of Justices Adarsh Kumar Goel and U U Lalit said, in the interest of justice, the matter should be investigated by the CBI. “There are certain startling facts in the case. Whether it is murder or suicide, it is required to be investigated in a fair manner. We are not determining the nature of the offence or who is guilty. But public confidence and societal requirement demand that the guilty persons must be reached,” the bench said. Senior advocate Kapil Sibal, appearing for Karnataka government, argued that handing over the matter to CBI would have other repercussions. He said the state can produce all relevant materials and satisfy the court about the manner of investigation. Senior advocate A M Singhvi, who appeared for George, claimed that the deceased police officer suffered from depression and had undergone treatments. Kushalappa’s advocate Jayant Bhushan submitted that the CID, which probed the matter, filed closure report without even awaiting the forensic report. Kushalappa and his other son had challenged the Karnataka High Court order of October 19, declining a plea for the CBI probe. The Supreme Court directed that the CBI should submit investigation report within 3 months. Reacting to the Supreme Court’s order, BJP state chief B. S. Yeddyurappa demanded resignation of George. “We welcome the Supreme Court’s decision ordering a CBI probe into the suspicious death of Dy SP Ganapathy. To ensure a fair and free investigation, minister K J George must resign immediately,” a statement from Yeddyurappa said.